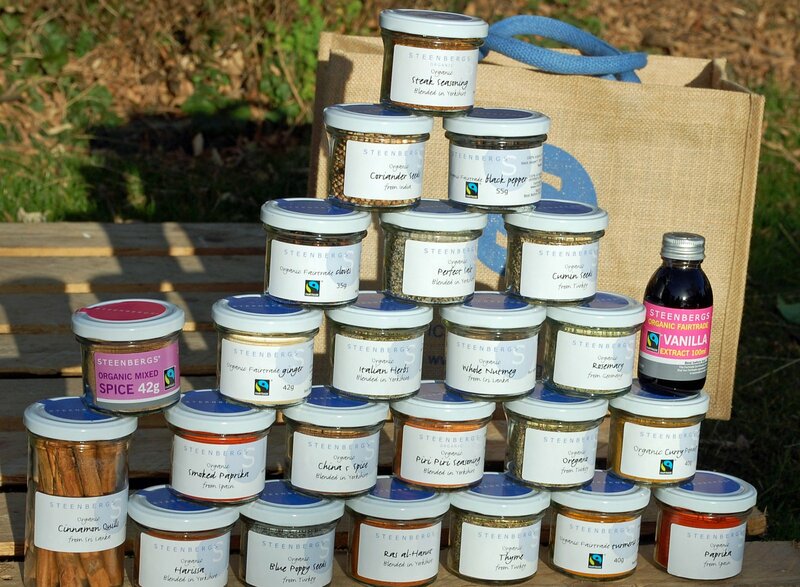 Last year our winner was a jar of Sainsbury’s Pickling Spices from 1975 costing a mere 19p. Throughout March Steenbergs is hoping to brush the dust off a few more jars, with the incentive of winning £50 worth of fragrant, aromatic Steenbergs spices to restock the lucky winner’s cupboard. “The best way to store spices is in a cupboard away from light and heat but it can be easy to forget about them,” adds Axel. “Here at Steenbergs we pack our herbs and spices into glass jars with tight fitting lids to keep the flavour in and maximise the shelf life, but ideally 2-3 years is the optimal shelf life to make sure that the delicate flavours don’t fade. So search out that celery salt and dust off that dill seed to be in with a chance of winning £50 of fresh, fragrant Steenbergs spices.